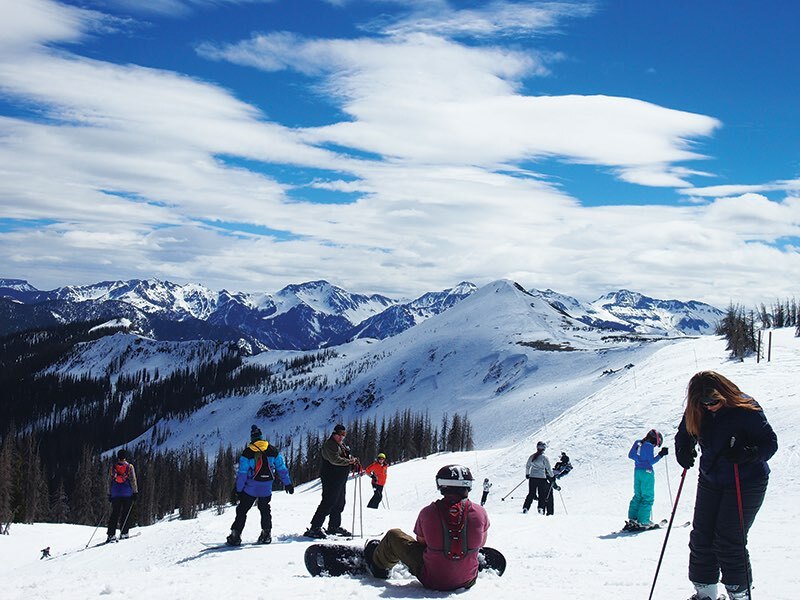 Wolf Creek is a high alpine ski resort, 10,300 feet at the base and 11,900 feet at the summit. Chinook’s Snowy Pine Cabins & RV Park is located just 17 miles from the ski area, in South Fork Colorado. Chinook has nine log cabins to accomadate you and your friends. 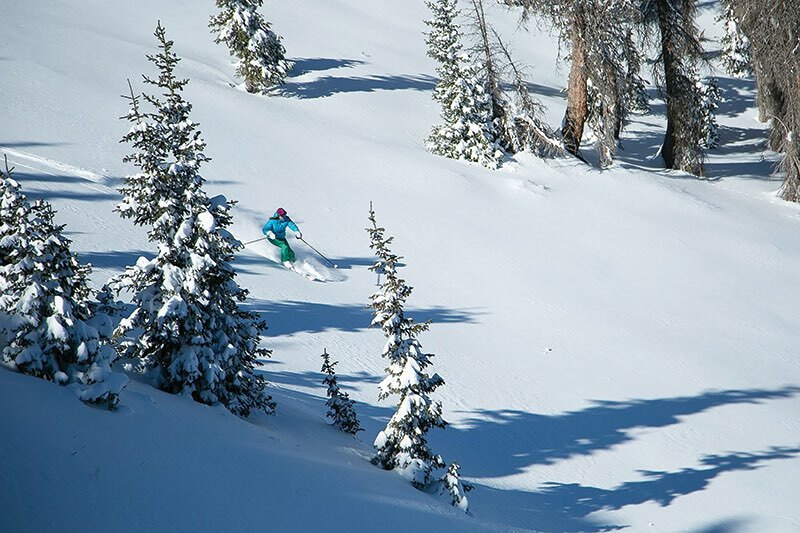 Wolf Creek Ski Area is one of Colorado’s finest ski resorts with light powder snow. A snow and road condition report is updated daily. Call 1-800-SKI-Wolf (754-9653) The cafeteria, snack bar, ski rental, sport shop and ticket windows are open from 8:15 am to 4:30 pm. 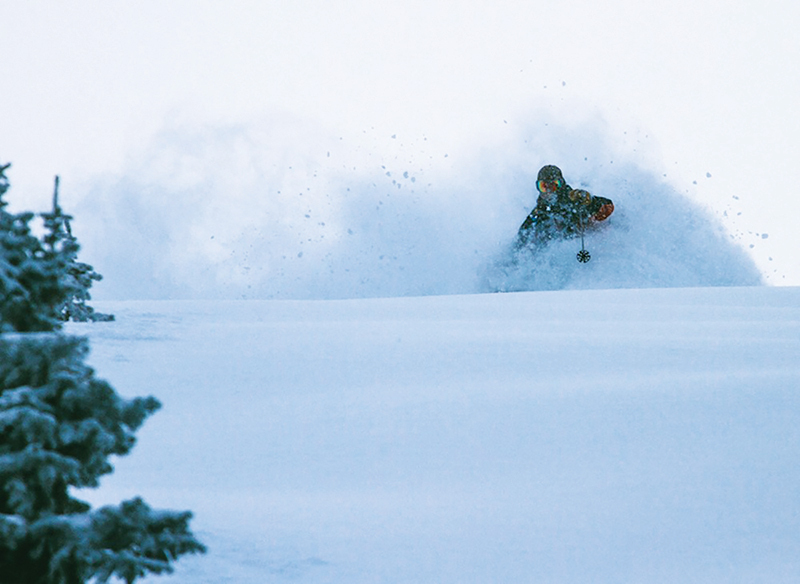 Lifts open to the public at 8:30 am and close at 4:00 pm. Wolf Creek Lodge has full service cafeterias. An ATM is located inside the front doors of the Wolf Creek Lodge. On weekends and busy days “The Outside” on the sundeck serves burgers. Base Camp is a picnic building with a sundeck for your brown bag lunches. Do not forget to pick up your sack lunch from Chinook’s Snowy Pine Cabins & RV Park to enjoy on the sundeck. Pathfinder Bar is located in the Wolf Creek Lodge and offers a good selection of beers, wines and mixed drinks. 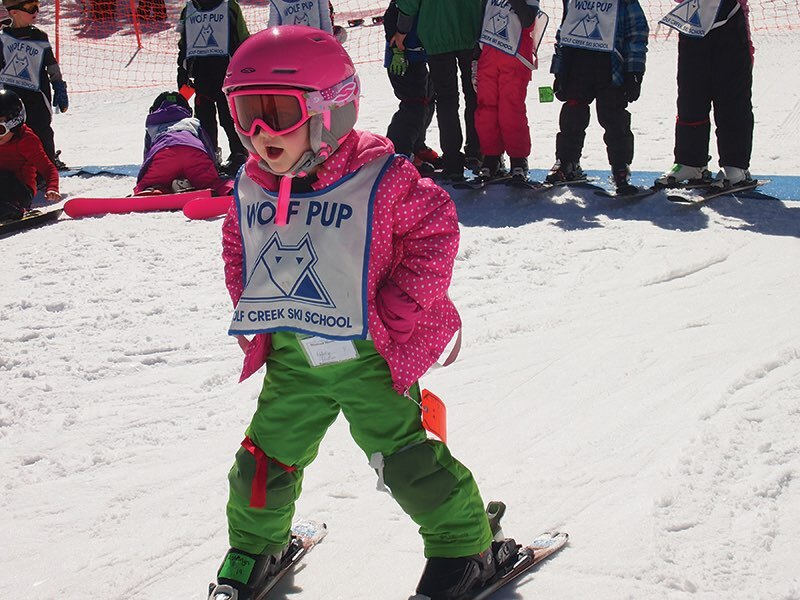 Wolf Creek offers complete ski school programs for all ability levels. Private lessons are available also. You may contact Wolf Creek Ski Area at 1-800-754-9653 or visit their website for more information. 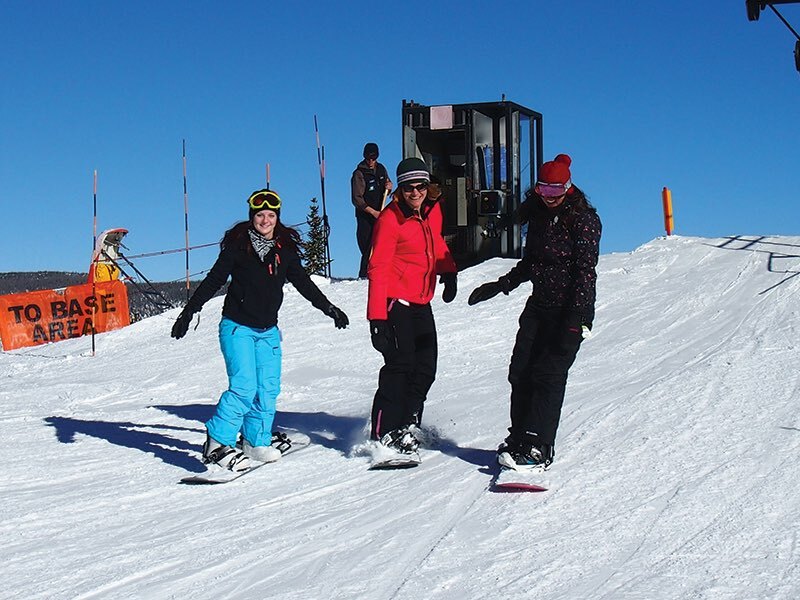 Rocky Mountain Ski and Raft offers Snowboard, Snowshoe, or Cross-Country rentals for the whole family or groups. Brand new Salomon equipment is available for you rental needs. Located at 30411 W. Hwy 160 in South Fork, Colorado. Call 719-873-2495 or visit their website. 8200 Mountain Sports caters to the outdoor enthusiast. No matter what your outdoor sport of choice, whether it is alpine skiing, boarding, snowshoeing or cross-country skiing, 8200 Mountain Sports can outfit you. They also offer a full line of retail accessories and cold weather gear. Located at 30923 W. Hwy 160 in South Fork, Colorado. Call toll free 877-873-1977 or visit their website to reserve your rentals today. Doc’s Outdoor Sports offers a complete line of skis, snowboards, snow shoes, and cross-country ski rentals for the entire family as well as groups. Doc’s is your “Prescription for Fun”. They offer a full line of retail accessories for your outdoor needs. Located at 31101 W. Hwy 160 in South Fork, Colorado. For more information call 719-873-5151 or visit their website.